The battle for Aleppo has reached its end, the Syrian Observatory for Human Rights monitoring group said on Monday, marking a devastating blow for the rebellion against President Bashar al-Assad. His army and its allies have pounded oppostion fighters in their remaining pockets in the east and are now in the ‘final stages’ of recapturing the whole city, a Syrian general told reporters. “The battle in eastern Aleppo should end quickly. They (rebels) don’t have much time. 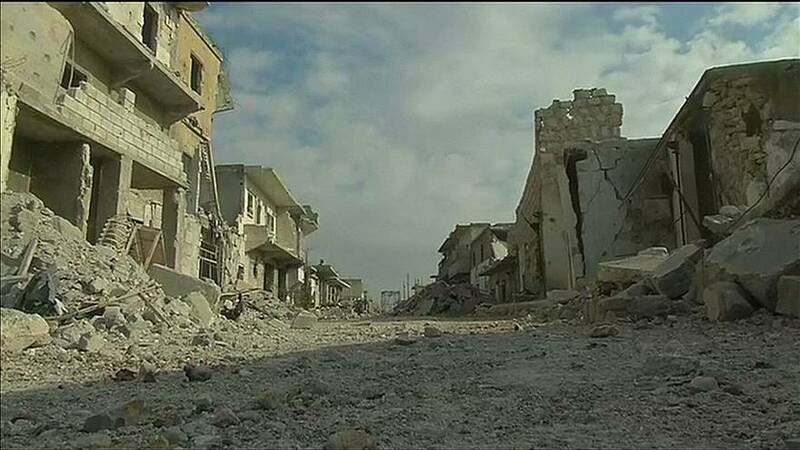 They either have to surrender or die,” Lieutenant General Zaid al-Saleh, head of the government’s Aleppo security committee, said in the recaptured Sheikh Saeed district of the city. Syria’s ally Russia says some 100,000 civilians have now fled eastern Aleppo and more than 2,200 rebels have surrendered since the start of the battle to retake the city. But while the Assad regime can now celebrate its greatest victory in nearly six years of civil war, the conflict continues. Syria’s chief opposition coordinator Riad Hijab said on Monday that defeat in Aleppo would not weaken the resolve of opponents of President Assad to remove him from power. And swathes of the country remain in rebel hands, with ISIL jihadists storming back into Palmyra at the weekend, having been forced out of the ancient desert city by the army in March.